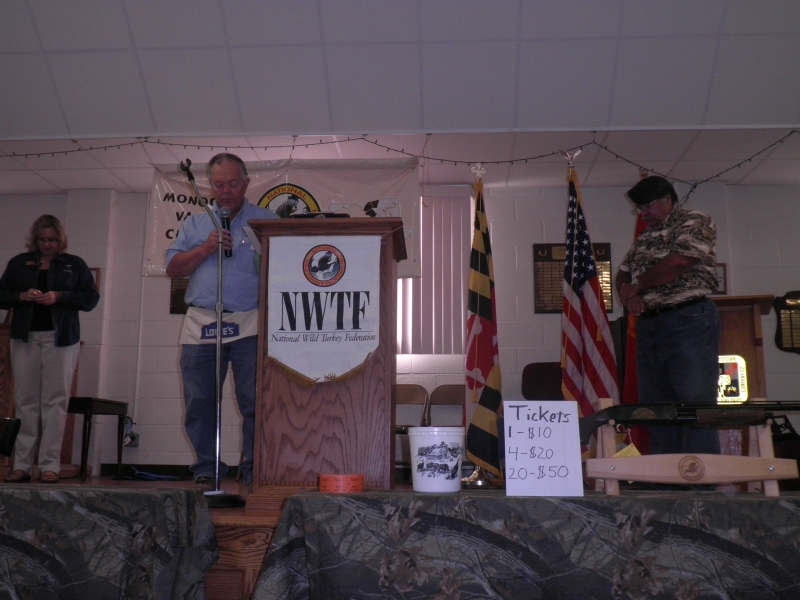 On Saturday, September 11, 2010, the Lewistown VFD was proud to host the Monocacy Valley Chapter of the National Wild Turkey Federation for its 20th Annual Hunting Heritage Banquet. Although a special 911 Commemorative Ceremony was planned, on-duty personnel who were to be the Honor Guard were summoned to a call. NWTF leaders rose to the challenge and offered prayers and a moment of silence for firefighters and others who were killed on that fateful day in 2001. LVFD thanks Gale Taylor and all the chapter members (from Carroll and Frederick counties) who work for wild turkey conservation for holding their banquet at Lewistown.